Today I just would like to share an nice article about the Photo Plus Expo with you. The article is written by my dear friend Darrell Young. He is writing about the Photo Plus Show in New York as well as about his time in Town. I enjoy reading Darrell´s Blog. So I hope you do. 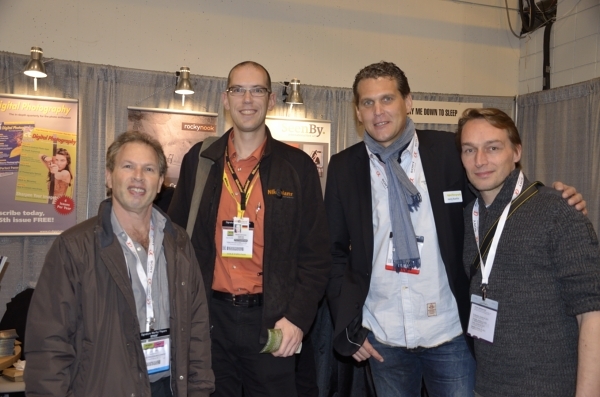 Brad Berger, Me, Joerg Muehle, Julian Buhler - Picture taken by Darrell Young. This entry was posted in Allgemein and tagged article, linkedin, new, photo, plus, york on 25. November 2011 by Hendric. 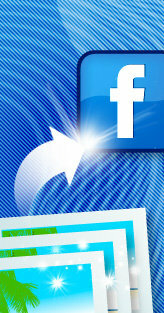 Looking for an easy way to upload photos to Facebook, even NEF? When it comes down to an easy way to upload your pictures to a face book account you probably know that this used to be some sort of difficult. The upload opportunities on facebook are working pretty well as long as you have your picture in the right size and in a common format. But you don´t need to care about this any longer. From www.obviousidea.com there now the “Easy Photo Uploader” is available. This little tool helps you to upload al your images (even if they are NEF) to your Facebook account. All you need to do is open the Software, select your images and press “next”. The uploader starts working. In the next step it shows you existing albums where you can upload your pictures too. Of course you also can create a new one. Final step is the third next. As a result all you pictures now are in the folder you want them to. Of course also an information on the wall about your recently uploaded is posted (based on the setting). This is the link to the software. But of course you also can see the product in action. Here is the link to a great youtube video. This entry was posted in Software and tagged facebook, linkedin, nef, photo, picture, upload on 30. March 2011 by Hendric.